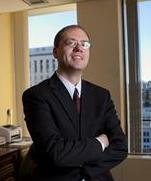 Reviewed by Rocket Lawyer On Call Attorney Kevin Steinacker, Esq. A bargain and sale deed is a legal document that transfers interest in real property from one person to another, where the grantor makes some promises regarding title, but only related to the period that the grantor owned the property. Therefore, the grantor promises (1) that he or she is the owner of the property, (2) that there are no encumbrances against the property during the time the grantor owned it, and (3) that the grantor will not interfere with the transferee's rights to the property. In Washington, the requirements for a Bargain and sale deed are simple: it must be in writing, contain a legal description of the property, be signed by the grantor, and the grantor's signature must be notarized. Bargain and sale deeds are commonly used by banks who have acquired property after foreclosure. A bargain and sale deed could also be used in other situations where the grantor is unwilling to make the broad covenants that go along with a warranty deed. More than just a template, our step-by-step interview process makes it easy to create a Washington Bargain and Sale Deed. Ready to make your Free Washington Bargain and Sale Deed? Our step-by-step interview process makes creating a printable Washington Bargain and Sale Deed easy.